Technology is often a source of fears for some people, especially those who think their jobs may be threatened by technological progress. Throughout centuries, there are many examples of such fears, sometimes leading to revolts, for instance the Luddites movement of early 1800’s. In the field of media we dealt in this article with the fears that ushered each and every new technology developed (print, television, radio, …) in the past. Artificial intelligence is seen today as the paramount example of a technology that could replace millions of workers and follows the same pattern. Journalists are especially worried of robots which could replace them and write articles “automatically”. They are the new Luddites. 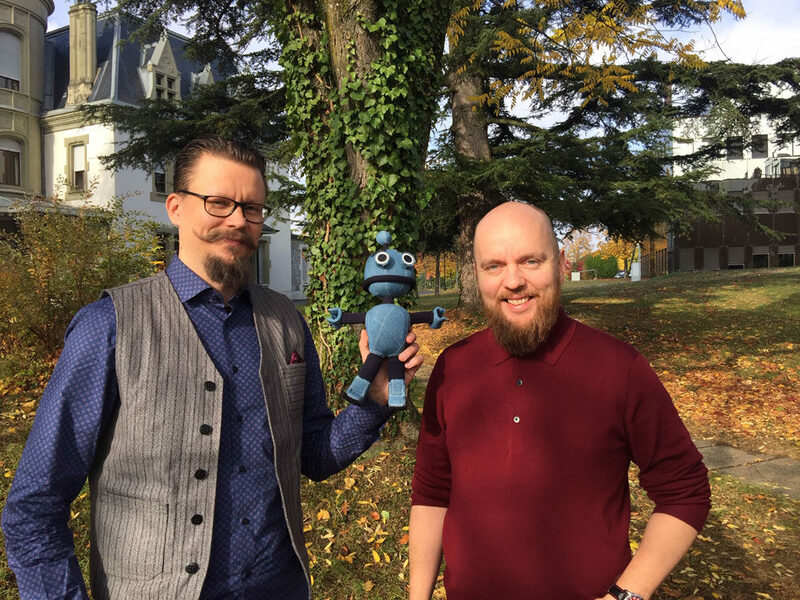 I’ve had the chance to follow up the work done at YLE, the finish public broadcaster, and to witness how they tackled this issue to get the best out of the technology while reassuring journalists on their added value. Artificial intelligence is often seen as a panacea to automating tasks performed by humans, hence to help cutting costs. Artificial intelligences that make sense add value to the customer experience and not only remove the human part out of it. Companies should see artificial intelligence as a tool to enhance customer satisfaction and leverage loyalty. We believe all AI-based developments should be carefuly assessed as to how much value they really bring to customers. Too often we see companies using one algorithm (which is no more and no less than a computer “recipe”) and claiming to be an AI-powered firm. This makes no sense. AI will remain a buzzword as long as companies don’t focus on AI as a differentiator. how much value does your AI really bring to your customers? how aligned is your AI with the values of your company? The Voitto project was started in December 2016. Today it helps automate certain tasks (like editing short videos or writing short factual articles) and adds value to existing processes (personnal assistant in the YLE news app pushing personnalized notifications on recommended content to the user). The whole point of their presentation was to show how they embedded a technological project into a human-centered process. What they did was extremely clever. What the guys at YLE did to debunk the myth of a technological that replace humans was to add a heart to the technology. They personified the different tools they created and put them under one umbrella they called Voitto. 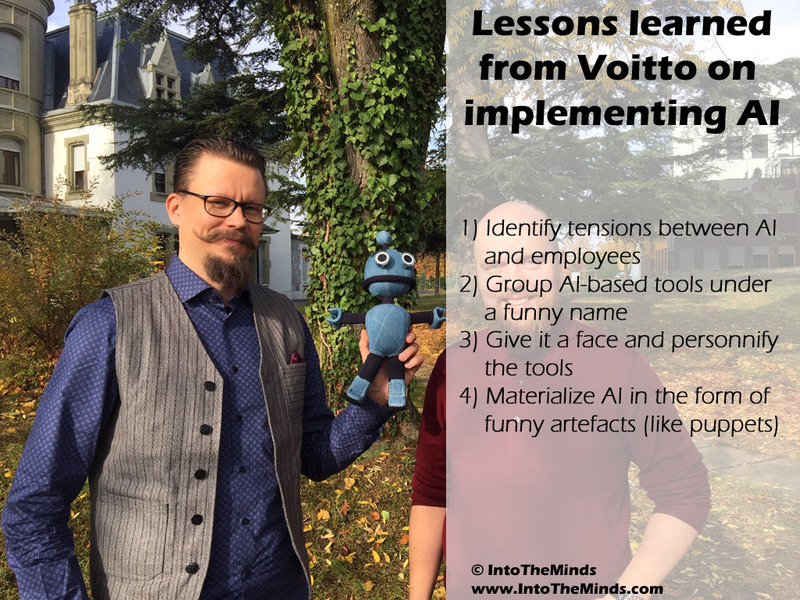 They gave Voitto a face (a nice and innocent robot’s smiling face), gave Voitto a reassuring color (blue) and even materialized Voitto in the form of small puppets and a big one. This is perhaps the most spectacular aspect of all. 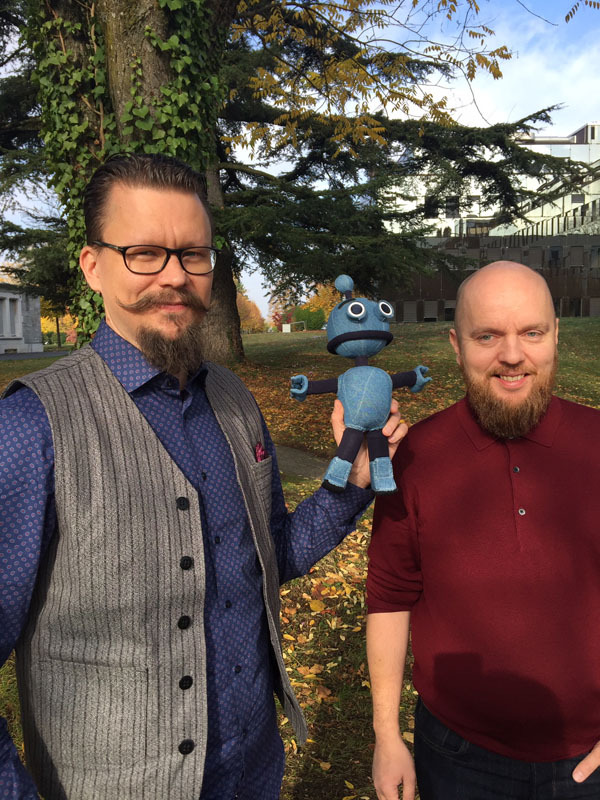 The pictures shown in Jarkko and Aki’s presentation show 3 journalists with a giant Voitto puppet in their arms. 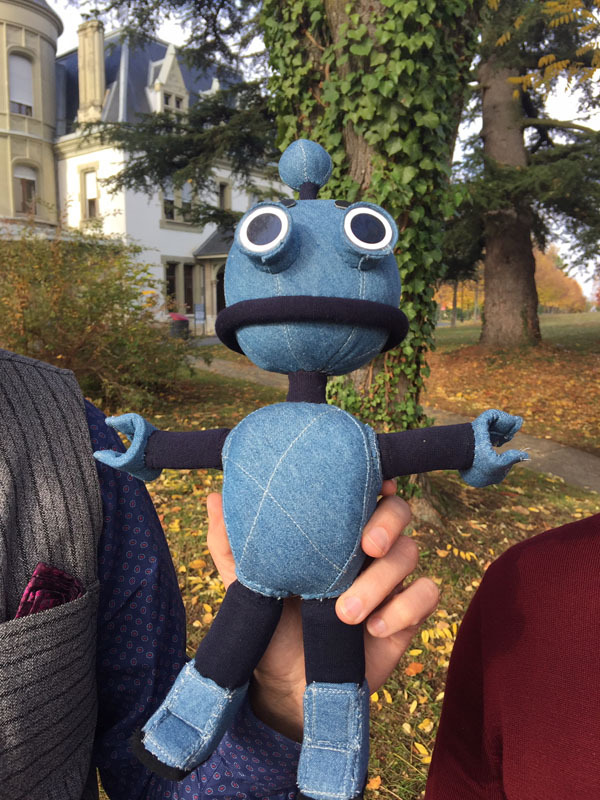 Materializing Voitto gave journalists the possibility to see something (an artificial intelligence) that otherwise would have remained invisible and threatening.